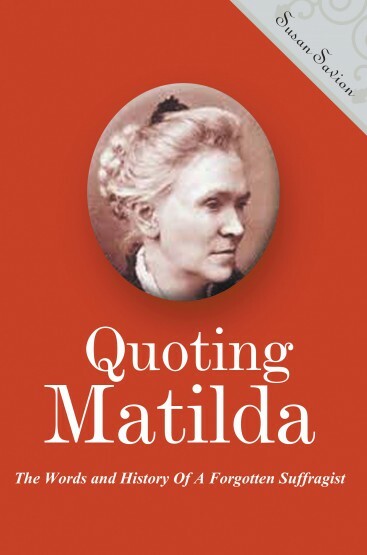 Though Susan B. Anthony, Elizabeth Cady Stanton are well-known historical names, that of Matilda Joslyn Gage usually evokes the response, “Who?” Yet, this amazing woman contributed equally for many years as part of a triumvirate with Anthony and Stanton. Matilda was involved in the women’s movement from 1852 until her death in 1898. She became a noted speaker and writer on woman’s suffrage. She was born in upstate New York to an abolitionist family. Indeed, her childhood home and her later long-time Greek Revival home (now a museum dedicated to her) in Fayetteville, New York, were both stops on the Underground Railroad. She was best known for her feminist and suffragist activities, but she was “written out of history” for many years, because she was considered by her peers to be too radical in all she proposed to accomplish. Inspired by the Haudenosaunee women who were her neighbors and who adopted her into their Mohawk wolf clan, she was determined to gain the rights of property ownership, governance and equality of power for her 19th century sisterhood. She fought for the rights of Native Americans and enslaved persons and anyone else impacted by government control. She had a life-long desire for justice and equality for all and was connected to the ideas of Theosophy and Unitarianism. This moved her to take on the inequality of women in religious institutions, which deemed her in the eyes of her contemporaries as too radical. Along with Stanton, Gage published The Woman’s Bible. Her book, Women, Church and State was deemed as “going too far” by many. She championed women inventors and was the inspiration behind her son-in-law L. Frank Baum’s 14 Oz books. 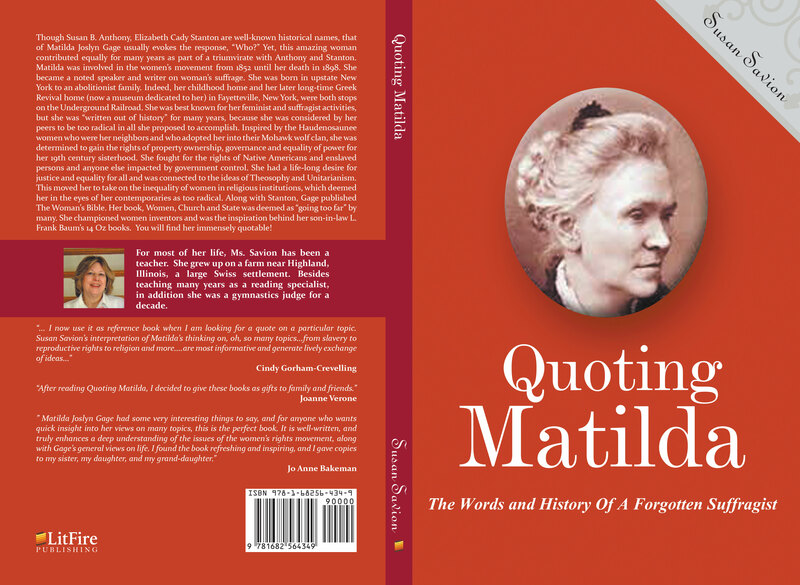 You will find her immensely quotable!